"Romeo and Juliet, the greatest love story ever told, is a lie." Right there. The cover alone makes me pine for this book. I absolutely love Romeo and Juliet. Anything relating to them I'm going to adore. The summary sounds captivating, and the cover is gorgeous as well. I think this is going to be a really great read! You can find more information about this book on Goodreads, or on Random House's website! I never got to read Romeo and Juliet, but this is truly interesting. Thanks for sharing! Oh wow! I'll definitely be adding this one to my TBR list. I'm obsessed with anything that has to do with Romeo & Juliet. Thanks for sharing! Oooooooohhhhh! Love the cover and love the book! I'll definitely be looking for this book when it's released. THanks for sharing. WOW! I'm running off now to put this on my TBR list! This sounds so great. I love Romeo and Juliet as well. I try to stay away from modern remakes, but this ones sounds very interesting. Confession: I didn't read the summary until you posted this, I just kind of skipped it because I thought the 'Romeo/Juliet' stuff is sometimes overdone. THIS I have never even conceived! I like, A LOT! Thanks for bringing it to my attention! I am anxious to read this one too. Love the connection to Romeo and Juliet. Great pick! Wow...that sounds amazing! Count me in as waiting for that one too! Yay! This was my pick too! Great minds think alike right chick? I think this one sounds very good. I've already got it preordered! I love this cover too! 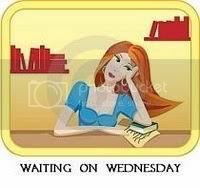 I am waiting on this one as well--anything dealing with R&J is a book I must read. Great pick! I can't wait for this either! I really liked Stacey Jay's other writing. This sounds SO good! What a total twist on a classic story. I can't wait to read it! OOh I remember seeing this one last week somewhere! It does sound very interesting! This has been on my list for a little while now. Sounds so amazing. Can't wait to get my hands on a copy! Awesome pick! I really want to read this one also! 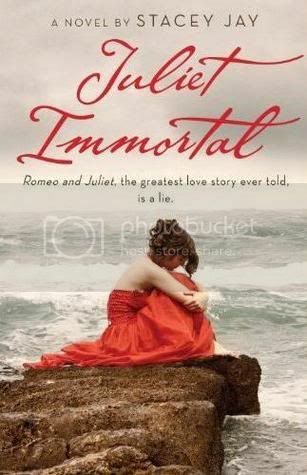 I love the cover art and Romeo and Juliet is one of my favorite stories. Thanks for stopping by my blog An Avid Reader's Musings. I've never read the original story, but this sounds fantastic. Now you have me waiting on it too! A super, fresh pick--right of the vine...lol...Going on the old TBR list. Thanks for the heads up on this one! Great pick! I came across this one earlier. It sounds so good. I love the twist on a classic idea. I can't wait for this one! I'm waiting for this one too, it looks so great. Great Pick! This is an interesting spin on the story. I love anything Romeo & Juliet too! This sounds sooo good!!! I always like reading books that try a different take of a classic story. I will definitely try to get my hands on it! Sounds good! Thanks for the suggestion! Amazing! I can't believe I haven't seen this one before! The cover is amazing; she looks so sad and alone! This is a must read; I'm a huge Shakespeare fan, can't wait to read this twist on one of my favorite tales! This sounds very good, will add to my tbr list. I LOVE that cover! I've not come across this one before. Looking forward to hearing what everyone thinks of it when it's released. I never liked Romeo and Juliet, but this sounds awesome! What an interesting take on it. Great pick, thanks for sharing :). Great pick, I have seen this one pop up a few times today. It is now on my wish list too. Hey again! Popping back to answer your question regarding my Jenna Black WoW! This is for her new adult series. Her other adult series was the Morgan Kingsley and her YA is the Faeriewalker which is just fabulous! Wow, I've got to check this one out, too! Especially from the cover tagline. :) Thank you for sharing and it's so going on my TBR list. Happy reading! Putting that line on the cover was a VERY smart idea! Great pick this week! Jessica- Thanks for letting me know! I will have to check out both her adult series! Wow, that sounds really great! I was excited when I heard about this one last week, too! This one definitely sounds unique. I'll definitely pick it up (especially because I thought that the end of the play was a bit of a downer haha). Great pick! Eeeehhh, second time I've seen this in WoW! It really sounds great - a twist in the classic Romeo and Juliet tale. Finally! I completely agree with this choice!! I am so excited for this one---it looks amazing. Ouch! It's kind of hard to wrap my mind around a betraying Romeo, and a centuries long feud between the two. But, what a concept! Sounds interesting.